European Championship 2012 - Live! + Video - is an application about EURO 2012 . 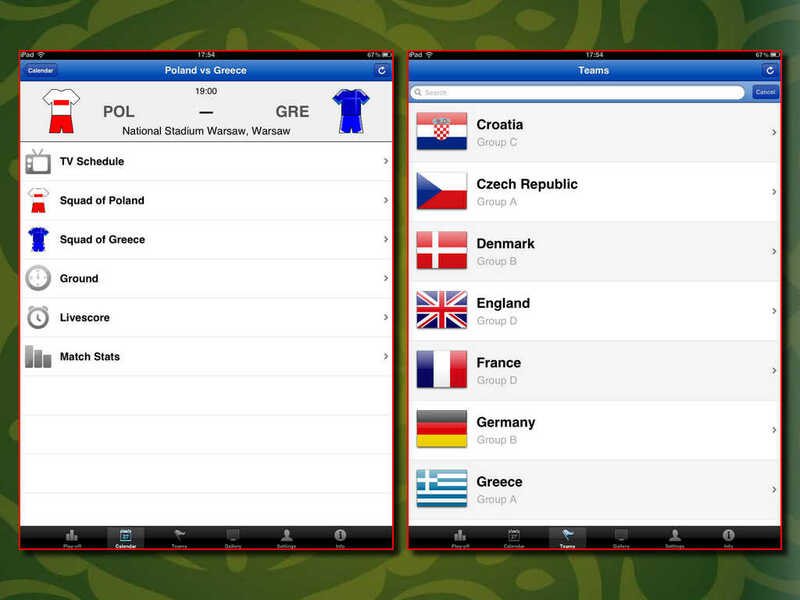 With this application you are able to watch the events in EURO 2012 in real time. You also get instantaneous access to the Tournament table, Schedule, Teams, Events in matches, News, Statistics and Video (Matches, Reviews, Goals). The current version of the application makes possible the creating of videos on your device. All video information is placed on tours, matches and players that allows to find quickly all interesting video information, view and save favorite moments in your device. With the application you can create video for both a player and a favorite team. 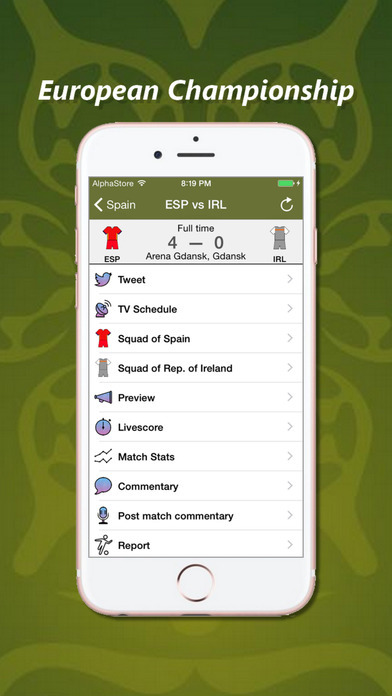 With the application you will have access to text translations and football fans’ forums. The information about stadiums (foto, video, historical data, location) is available too. Here you can find full information about teams of EURO 2012 - current list of players with their personal information and photo, historical information, form and symbolics, texts and music of anthems,etc. You can tune the application according to your preferences and watch one or several teams.